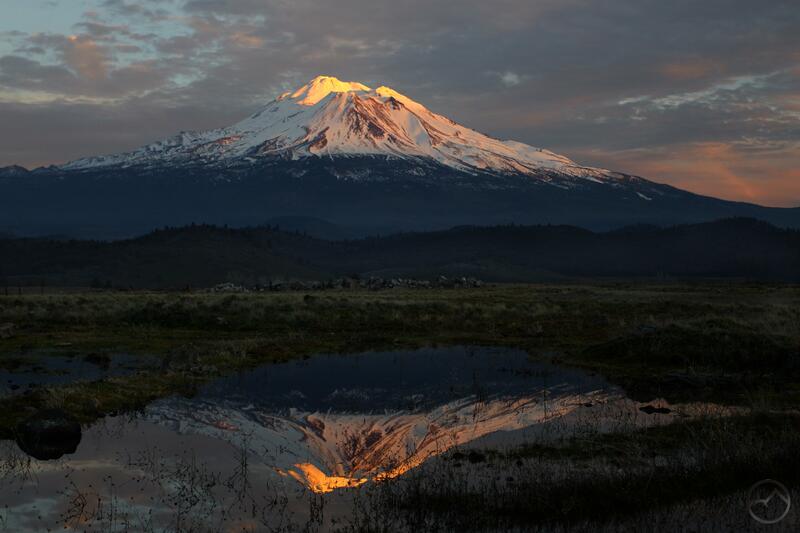 Today marks the second anniversary of the launch of Hike Mt Shasta. It has been a fantastic year for this endeavor. Traffic was high and steady as more folks found their way here to get beta on exploring this amazing part of California. I have really enjoyed corresponding with everyone who has sent me questions and comments (though I do apologize if it takes me a little while to respond sometimes!). I hope that the information on this site continues to be useful for getting out and enjoying the beauty of Northern California. Even if we can’t be here, it is my desire that Hike Mt Shasta has enabled people to enjoy this area from afar. Wherever you are, I want my love for Mount Shasta to rub off a bit! Thanks to everyone who has given me corrective feedback, a word of encouragement or simply expressed appreciation. However, while the site was a great success, there was even more going on behind the scenes. I was working on a pair of books and this year that took a lot of focus off of the site. There were a few months where I completely missed putting up blog posts and even one month in which I failed to take a single picture of Mount Shasta. Even though this was because I was on the road, it was a first for me. If I miss a month in the future, I had better have a dern good reason! I am pretty proud of the work I did on the books and they are going to be published soon. I plan to speak about these with a little more length in the near future, but they deserve mention here because of the way they dominated my life in 2014. 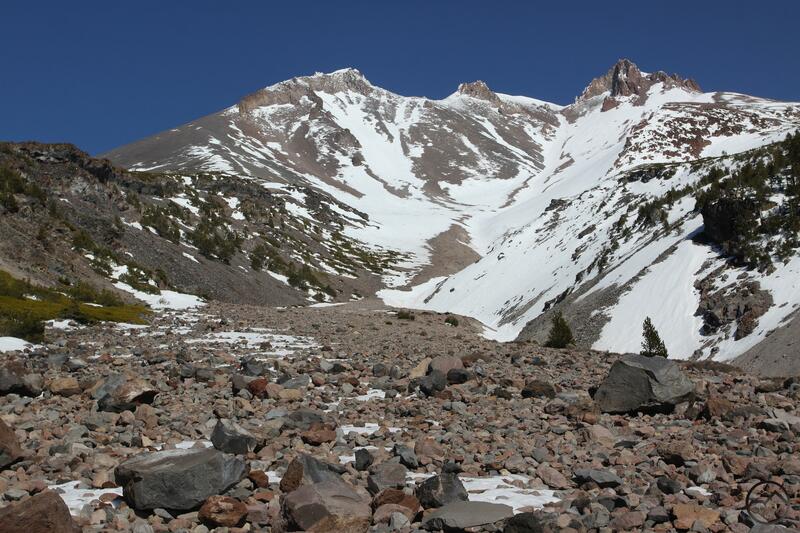 Thanks again for reading Hike Mt Shasta! 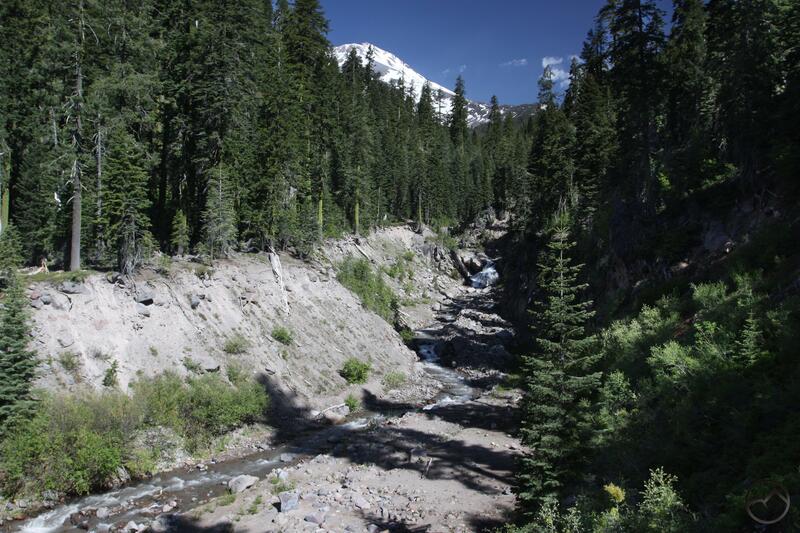 Seldom Seen: Lower Mud Creek Canyon: Relatively easy to get to but lost in the vast forests on the southeast corner of Mount Shasta, the lower section of Mud Creek Canyon is a gorgeous slice of Mount Shasta’s wildlands. Hiking along Mud Creek as it continues to carve its way through the canyon is great as much for the scenery as it is for the sense of lostness and isolation. Punctuated by occasional views of the summit of Mount Shasta, the trip also enjoys tall cliffs and a old growth forests. The highlight is a nifty waterfall on Mud Creek, one that is rarely seen and little appreciated despite its beauty. Those who make the trip into the canyon are in for a real treat! Seldom Seen: Diller Canyon: Where Lower Mud Creek Canyon is obscured by great forests on a little seen side of Mount Shasta, Diller Canyon is high on the side of the mountain, at and above treeline and clearly visible from many well-traveled places, including Interstate 5. Despite this, it maintains a relative obscurity. Even though it is easily accessed via Everitt Memorial Highway and reached by means of an easy and view-packed hike, Diller Canyon remains off the radar as a hiking destination. This certainly isn’t all bad since the few who do make the trip here can enjoy awesome views of the Trinity Divide as well as the gaping chasm of the canyon as it climbs relentlessly up the side of Shastina until it ends just below the cone’s summit. 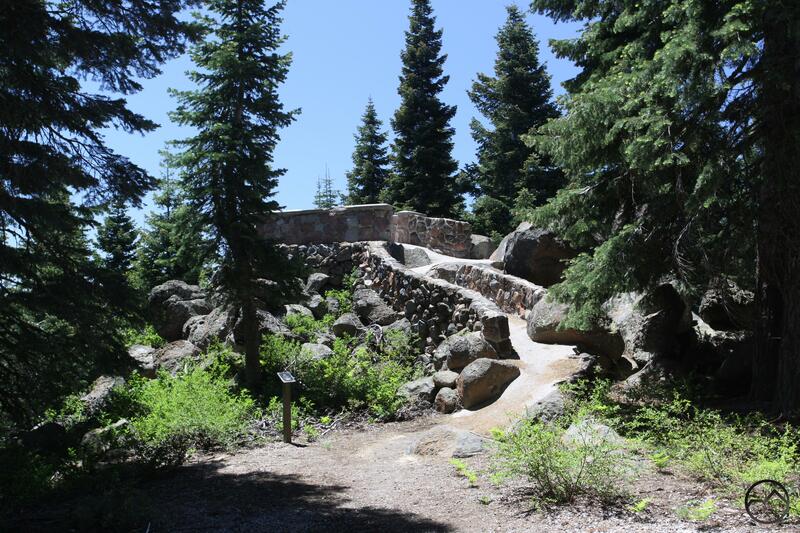 Why this is not a maintained, official trail on Mount Shasta is a mystery to me. It certainly would be easy to make it one and would no doubt be a very popular path. Even though it continues to languish in obscurity, for those who do venture to Diller Canyon, the trip is a powerful experience. A Journey Unheralded: The Shasta River: I love rivers and the stories that go along with them. Each has a collection of tales and history that give them a distinct personality. To some degree, my thoughts on this were shaped by the book “Through Time and the Valley “, which recounts the tales of the people who lived their lives along the lonely Canadian River in the Texas Panhandle. For me, the Shasta River shares many of the qualities with the Canadian River, but with a major upgrade in terms of scenery (of course, the desolate plains and badlands of the Panhandle are beautiful in their own way and are part of what gives the Canadian River its personality). I love trying to photograph Mount Shasta from the river. It is not always easy because most of the river is on private property but it is a challenge I am willing to undertake! I wish this river received more love than it does and it is my hope that folks are moved to explore it more whenever I write about it. Personally, my little part in the river’s story is one of the most tragic and unusual thus far in my life. Vantage Lost: The Everittt Memorial Vista: I love history and I am a sucker for lost things. The vista platform on Mount Shasta perfectly captures my imagination. The fact that this interesting site is hiding in plain sight fascinates me and compels exploration. The story of what the memorial commemorates is sad but reminds us of the sacrifice and perseverance of our forebears. While the view has been lost, it is still an interesting place to visit and includes a short nature trail that passes through beautiful old growth red firs and passes a historic ski shelter, a remnant of earlier days of winter activity on the mountain. Even though the forest has reclaimed the view from the tower (other than a perspective of far-off Lassen Peak), there is a great view of almost the entire Trinity Divide and the distant Trinity Alps from the top of the driveway that descends down to the vista’s parking area. 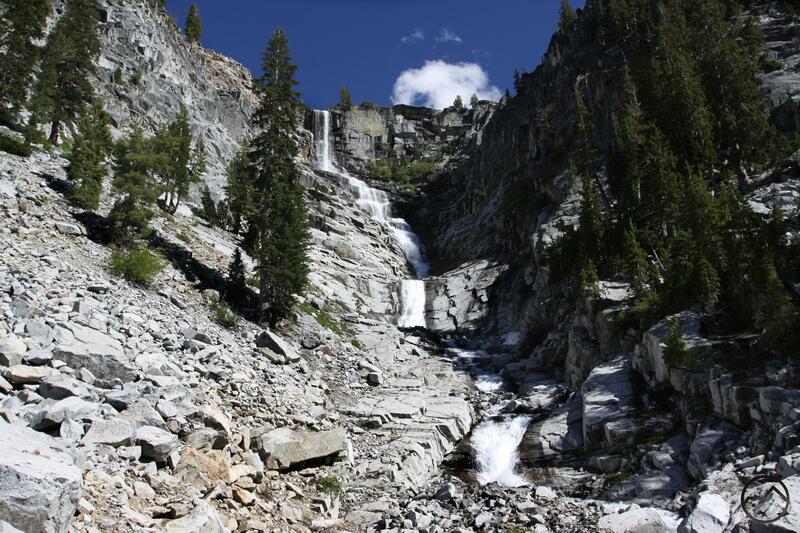 Mount Shasta Area Waterfalls: Giants Of The Trinity Alps: Needless to say, I am a complete waterfall junkie. I was raised on the spectacular specimens of Yosemite (some might say spoiled), so while I love all waterfalls, I have a pretty high standard when it comes to what ranks as a top-tier cataract. Here in the far northern part of California, the best falls are (obviously) Burney Falls, the fantastic waterfalls on Mount Shasta itself, and the epic falls of the Trinity Alps. These last in particular have a special place in my heart, since they stand shoulder to shoulder with many of Yosemite’s best and share many of the same characteristics with them as well. White water falling of stark gray granite is possibly my favorite sight in the world and the knowledge that some truly epic falls like this exist just a few miles to the west is a very comforting thought. Grizzly Falls in particular, is one of the most amazing waterfalls in the world, plunging hundreds of feet directly out of what might be the prettiest lake in the North State. Congratulations on year two! I am pleased to see that I’m able to recognize most of those posts (not only reading but comprehending and retaining – whoop!). Your photo at the top is stunning. I know, I know, it’s hard not to take a great photo of Shasta, but I really love this one. To tell the truth, I have seen some truly awful images of Mount Shasta, but I guess it is easy to take a bad picture of anything. However, if you put some forethought into it, it really is hard to get a bad shot of the mountain. Thanks for always checking out the site and commenting. 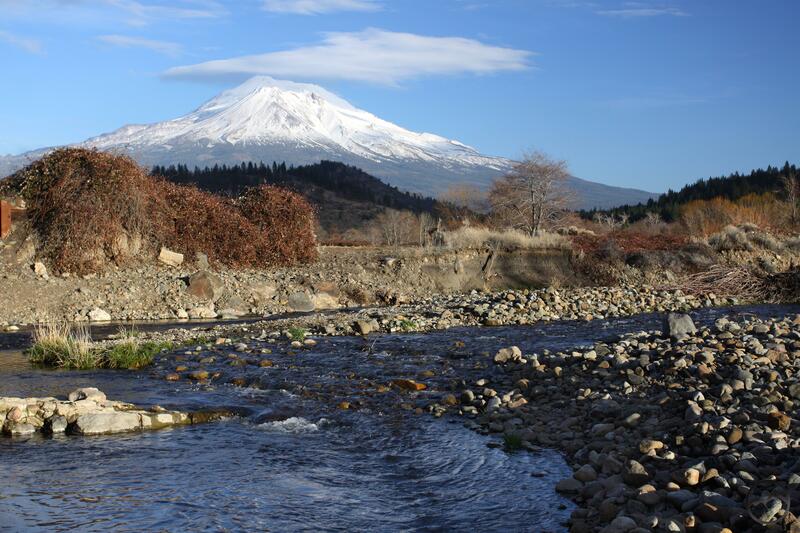 I really appreciate it when others value Mount Shasta and the surrounding region as much as I do. I am glad that this has resonated so much! Of course! I read a lot of blogs, but there are only a couple that truly feel like home to me, and this is one of them. I’m not very familiar with Shasta in my own experiences, but the way you love the volcano, the way you seek out and appreciate every kind of trail, the way you like to get into the history of things….it’s all very much like my own approach. Thank you so much for your blog. Thank you! That really means a lot to me.